"Logically structured document with a fixed arrangement of captioned spaces, designed for entering, extracting, or communicating the required information." A form is a window or screen that contains a number of spaces (or ‘fields’) for users to enter data. In most (and we would hope all) cases, each field will hold a field label (i.e. address, name, D.O.B) so that users aren’t randomly inputting information and hoping for the best. When it comes to SharePoint, forms are available for any list a user creates. They look like this, and let users add and modify items. While potentially not quite as time-consuming thanks to the wonders of auto-fill, a form like this can still be a hassle most would rather do without, especially when it’s nothing more than an array of blank boxes on a white screen. For those already familiar with forms, most will agree that their main selling point is that they simplify your business. A visually attractive form will make working with the database more pleasant. An effective form can make the process quick and simple, and can also help prevent incorrect data from being entered. There are a number of tools that can make forms within SharePoint easier to use and look more appealing, increasing the chances of users actually filling them out. So, we'll begin with the most basic approach to forms within SharePoint, which is filling out a form. Default forms are available out-of-the-box with SharePoint, and they consist of a few basic fields that require basic functionality. These generic SharePoint forms let you modify the order of fields, attach files, and add calculations, and are a good option for simple applications. For those that require more functionalities from their forms, however, you may need to look further. Microsoft do offer SharePoint Designer, which is actually a full website-editing tool, and also lets users work directly with SharePoint files and properties. 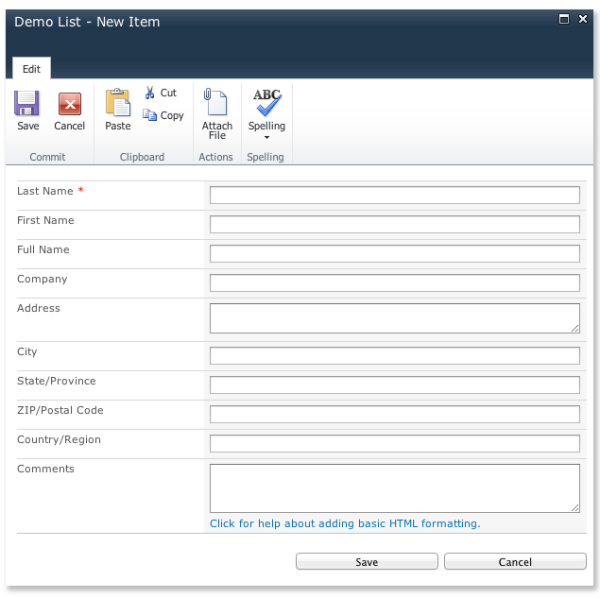 Taking an existing SharePoint list, Designer creates a new .aspx page which renders and controls the form. Designer offers far more scope than the standard forms package, letting users change the layout, add text and graphics, and show or hide fields based on certain criteria. You don’t have to be a programmer to use Designer, but those unable to code may still find some obstacles. For those that can code, custom forms are the best way to go, but we’ll touch on that a little later. Another option, also from Microsoft, is InfoPath. Unlike SharePoint designer, InfoPath is a dedicated form creation tool that lets users build complex forms capable of accessing numerous data sources, all with little to no coding. It’s excellent for working with structured data, handling large text fields, calculations, business knowledge, and integrated workflows with ease. It was very intuitive for its time, first released in conjunction with SharePoint 2003. Jump to 2016, though, and its pastures are not quite so green. It’s clear from both Asif’s statement and the whole InfoPath saga that there is definite room for improvement on the SharePoint forms front. Fortunately, we’re not out of options yet. The best solution for creative types, and those wanting total control, custom forms can involve endless possibilities for the price of (nearly) endless coding. Tools such as Microsoft’s Visual Studio are more than capable of making this process a bit easier. It can be used to create custom forms from scratch, and can be used to extend InfoPath solutions. The prospect of creating any form you need is great in theory, but as with most development projects, this can prove expensive and has to be done to perfection to avoid bugs. As customary with SharePoint, there are numerous 3rd party apps that fill in the functionality gaps left by the platform’s native form creator. One of those that many users find useful is Nintex Forms. Nintex Forms can be installed as part of your SharePoint environment, and they let you create forms without exiting the software. 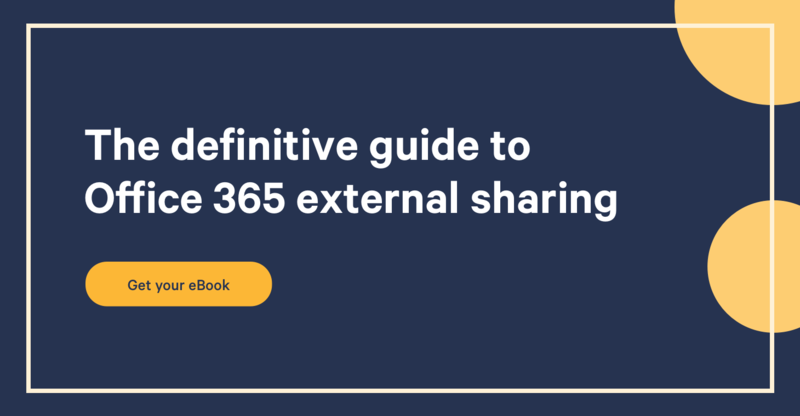 Anyone familiar with the Nintex workflow tool will know how well Nintex integrates with SharePoint; taking advantage of managed metadata, external lists, and other native SharePoint features to make you feel right at home. SharePoint Forms can offer you and your company a lot, and you can move them across SharePoint versions. So, it’s a good thing there are so many options out there. Whether your needs are small or large, there are multiple ways to create your forms. Nintex manages to offer the functionality of Visual Studio combined with the simplicity of InfoPath. What custom form have you created in SharePoint?